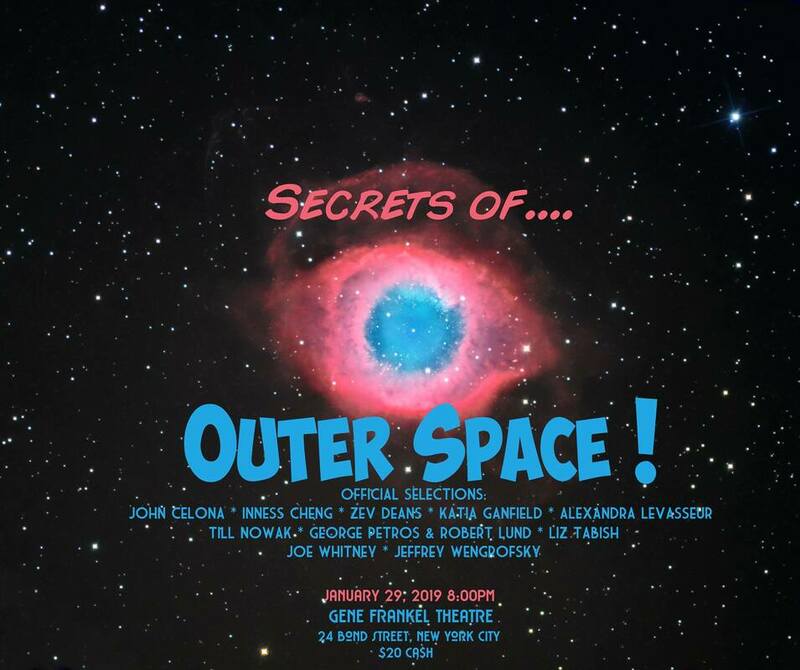 Secrets of Outer Space: Into the Great Beyond, a short film festival dedicated to exploring outer space, extra-terrestrial life, and alternative dimensions through cinema, will premiere on January 29, 2019 at the Gene Frankel Theatre at 8:00. Secrets of Outer Space includes ten short (5-10 min.) films selected from over 200 international submissions. Official selections include: Zev Deans’s “Alien: Biotic,” which was commissioned by 20th Century Fox as part of the official ALIEN: Covenant campaign; Liz Tabish (Austin, Texas); Joe Whitney (London); former Juxtapoz Magazine editor George Petros; Inness Cheng (UCLA’s School of Architecture); Alexandra LaVasseur (Montreal); Katia Ganfield (London); Till Nowak (Los Angeles); John Celona (Canada); and Secrets curator Jeffrey Wengrofsky (New York City).